With the perspective of someone who believes in working hard in a career he loves, Ma has created a kitchen of high performers. His quiet kitchen is full of hires who are heads-down, with an attitude similar to Ma’s. When asked how he found that many like-minded employees, Ma said he “hire[s] people I’d want to surround myself with. You may have to pass on someone super talented if you don’t have to deal with their personality or their ego or chauvinism. 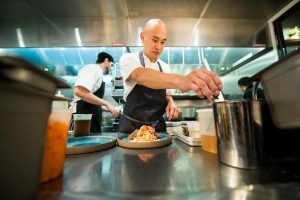 In the end, your kitchen will be better off if you don’t have to worry about those issues.” Ma and his team are very picky when it comes to hiring, avoiding egos at all cost. 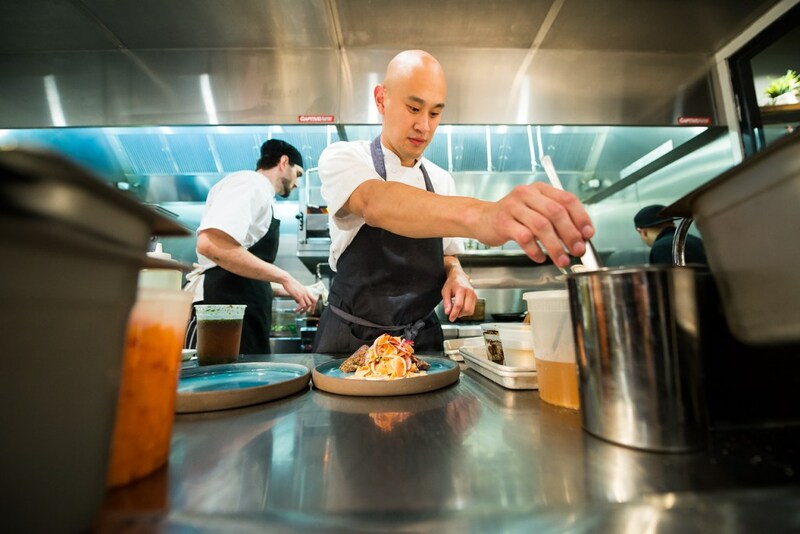 Because Ma is an industry changer with a professional attitude in an interesting fusion kitchen, the talent he attracts tends to be similar – slightly older, looking for a change, and excited about the tone and food at Kyirisan. That allows him to create an ego-less kitchen, from the top to the bottom. Ma is the first to admit he doesn’t know everything, and that allows for his staff to echo his professionalism. At the end of the day, though, Ma cautions: “Don’t take things too seriously. It’s just cooking and it’s just food and it’s probably not personal. Be gracious to those who come through your kitchen, and learn from them.” Great advice to building a sustainable, professional kitchen with a high-performing staff.